As Colorado's Peak to Peak Highway skirts the lower ridges of the Front Range and Rocky Mountain National Park, make sure to pull off and take in views of the craggy Indian Peaks, Longs Peak and fun towns like Estes Park, Nederland, Central City and Black Hawk. Hiking, biking, snowshoeing and other outdoor pursuits in the adjacent Rocky Mountain National Park are at the top of the list of things to do along the Peak to Peak Highway. But Estes Park is also home to a number of retail stores and a restaurant scene that rivals any mountain town in the state. In fact, since there are no commercial enterprises within the national park, many visitors flock to Estes Park to satisfy their appetite. 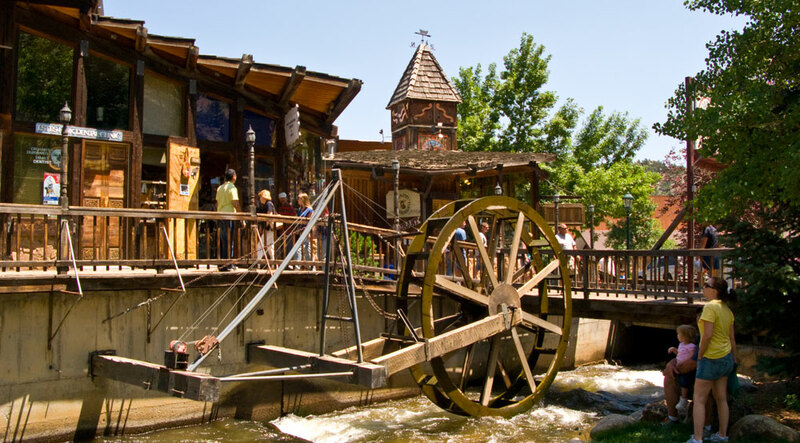 With its scenic riverwalk and pedestrian-friendly sidewalks, the town may entice you to linger for as long they like. The soaring crags that surround the town are on the A-list for rock and ice climbers. 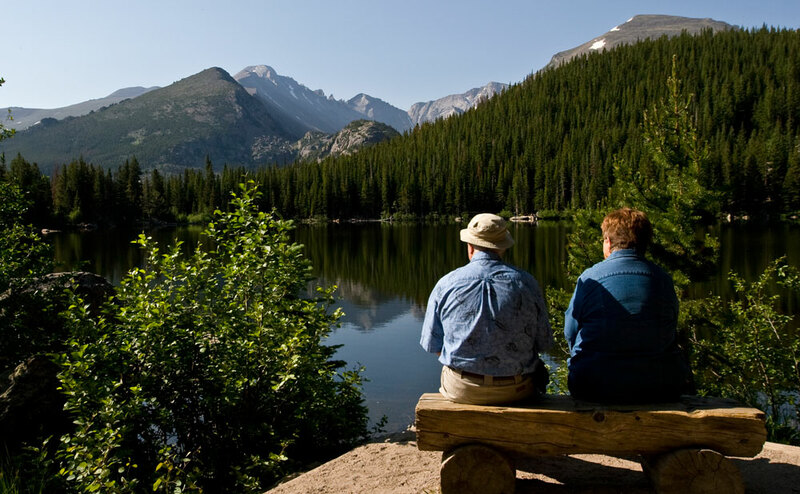 Lake Estes offers tranquil boating, and mountain biking and horseback trails forge into the adjacent forests and meadows. For unencumbered views when driving this route in the summer, consider renting a convertible. While summer is certainly prime season, Estes Park is also a wonderful winter respite — soak in a hot tub and watch the snowflakes gently fall as you watch elk in the snowy fields. In fall, aspens glow golden, while the whole town celebrates the Longs Peak Scottish-Irish Highland Festival. Nederland is the gateway to the Indian Peaks Wilderness Area, one of the state's most popular locations for hiking and cross-country skiing. The town began its history as the mill site for silver ore from the rich mines at Caribou — now a ghost town five miles away. Today, it's better known as base camp for outdoor recreation. Backcountry snowshoeing and cross-country skiing are outstanding during the winter on the hiking trails found on the outskirts of town. It's also a base camp for Eldora Mountain Resort, just five miles away. Eldora is great for family skiing and snowboarding, and there are also a number of Nordic trails strewn throughout the area. 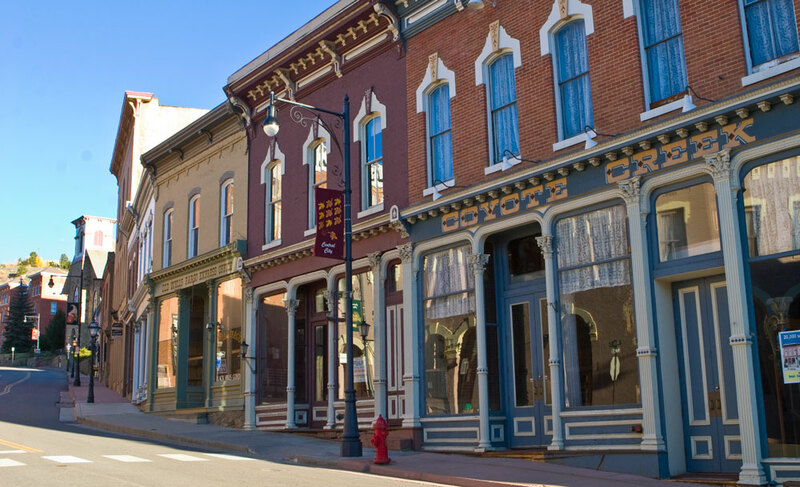 These towns are situated in the middle of what once was called "the richest square mile on earth." Today, Central City and Black Hawk offer bright lights and the winning sounds of bells and laughter in the several bustling casinos. Enjoy the fast pace of the craps tables, the intensity and concentration of blackjack or the chance to win big on the slots. The two former mining towns are also home to a multitude of legendary tales (most are true), and folks of all ages can experience the lifestyle of more than 100 years ago. History Along the Peak to Peak Highway: The Central City Opera House is a Victorian-era jewel surrounded by rugged country. Along the way, make a stop to see the historic and still functioning Moffat Tunnel, used for trains. You can also detour to the ghost towns of Hesse and Apex. Photos: Rocky Mountain National Park, Estes Park, Central City.